I had written you a long letter of five pages, and awaited the courier; at the moment when I had finished it, a drunk Chasseur d’Afrique lays down at the door of my tent, I put the nose out to see what is happening, at the same time, the wind blows my letter that falls into the fire. I well-cursed this cavalryman! We had a terrible storm the night before last, the wind begins to batter the three tents of Colonel. He cries like hell for someone to come to his assistance, but no one could go outside without the risk of being blown away by the storm. 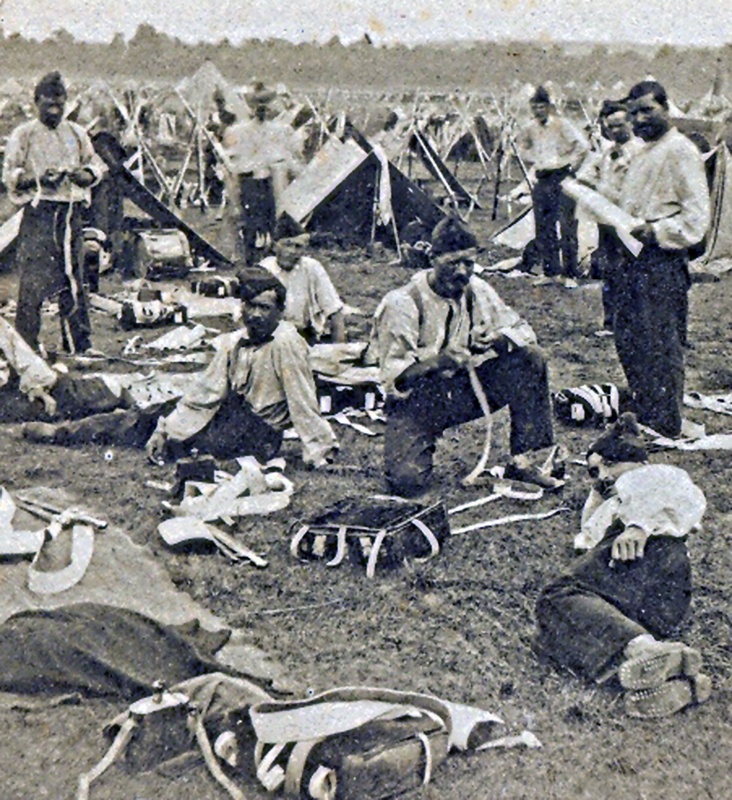 Luckly, the sappers had pity on him and gave him a small tent where he could spend the day. 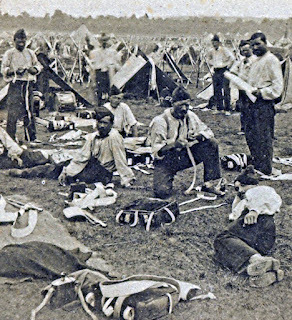 The tents of other officers had the same fate and were blown away. Only that of Charles survived, and was quickly invaded by other officers who came to seek asylum. Other refugees went to Balaklava, hoping that English myladies would let themselves be seduced by the piteous state of our officers: but the ladies do not have the heart as sensitive as ours, and the conquerors returned crestfallen. I laughed comic scenes caused by the hurricane. The cantinieres who had taken refuge in their wagons, they took the position without horses and descended into the ravines to shelter from the storm. On the morrow, the wind ceased and we could rebuild our homes. We are making barriers to stop the wind, and making underground houses. The government has just sent us the sheepskin overcoats, we look like vertiable Eskimos. He concludes his letter describing his disappointment at being looked-over for promotion and also recounts how a newly-arrived officer committe suicide. I have a victim of a big deception, I was proposed for promotion to second lieutenant with the number 2, because we had three vacancies, most of the rewards of Alma just arrived. I well hoped to be named a place in the depot in France. But the man proposed: indeed, if Colonel favours him, he will go far with a commission, he did appoint, but from two noncommissioned officers of the Zouaves, Division of Prince Napoleon. One of the newly promoted arrived a few days ago, they made him welcome, but he disappeared. The next day we learned that he was found dead, from a gunshot to the heart. We do not know the motives of his act of despaire. Therefore, the Intendance was incapable of providing better shelter than the Tentes d'Abris because the large 16-man tents had been wrecked. This meant that the French had to endure the winter in the utterly unsuitable Tentes d'Abris or in their dugouts. Thus I am coming to the conclusion the Intendance whilst hide bound with red tape and beaurocracy, was the victimof unforseen circumstances: its supply of bread and biscuit and the mobile bread ovens were destroyed in a fire in Varna on 14th August 1854; tents were destroyed on 23rd September and again on the 14th November which left the French army going hungry and freezing to death.